Airlines often gouge prices, leaving you in the lurch when planning a getaway overseas. But airlines also make pretty big mistakes, like listing the fare for an otherwise expensive flight at a dramatically lower price, enabling you to score a dream vacation without breaking the bank. 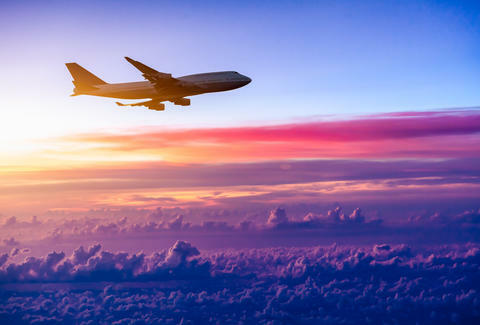 Scott Keyes, the founder of the travel website Scott’s Cheap Flights, recently spoke with The Telegraph about mistake fares, and how you can use an airline’s occasional blunder to your money-saving advantage. That’s where Keyes’ website comes in handy. The site, which is staffed by eight people in different locations around the world, tracks mistake fares and alerts the website’s 424,000 subscribers via email when they happen. Then it’s up to you to claim the laughably-priced tickets before they're sold out or the airline notices. Typically, the airline will own up to its mistake, sometimes granting you a ticket for thousands cheaper than you should have paid. Other times they’re less generous, though, and make you pay full price. Still, it sounds like a worthwhile gambit. Keyes explained to the Telegraph how mistake fares happen, noting that often, an airline means to list a flight for thousands of dollars but winds up misplacing a decimal point. It’s that simple! There are other variables at play, too, including foreign currency exchange rates, flight routing errors and miscommunication between travel agents and airlines, but the major takeaway remains the same: Keyes and his team find these insanely cheap tickets, and email them straight to your inbox. This isn’t the first time Keyes has shared his sage-advice either. In January, he did a Reddit AMA, answering the internet’s burning questions on traveling the globe. Among his nuggets of wisdom: Everyone should try traveling alone at least once, and your long layover could actually be a blessing in disguise.